Ep. 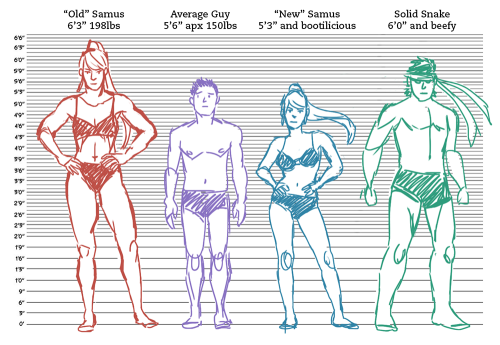 28 – Is Samus a Feminist Character? The narrative of Metroid exists both within and without — Samus is the “First Lady of Gaming,” but was tragically assassinated in 2010. Perhaps she was never there on that pedestal, to be so targeted, in the first place? This podcast wouldn’t have come together without help from this article, “Samus Works Alone,” by Maddy Myers, which informed my view of Nintendo’s famous Metro Android. One of the big pieces I missed was talking about how Samus doesn’t talk. It’s another give-and-take situation: she’s stoic, or is she voiceless? I also neglected to mention the recent developments, Zero Suit/high heel controversy in Super Smash Bros. and her changing height/figure. And yes, I am insinuating that women are brainwashed by patriarchal culture — they’re human, just like men, and Lord knows those motherfuckers are power-tripping. Let’s all join hands in how everybody has to overcome this hurdle, but it manifests in our minds in different ways. The Christina Hendricks anecdote is just that, a little-researched possible example of how American culture has arranged itself based on the male gaze. When women have to observe through that gaze, it’s the opposite of some gamers’ experience with Samus.